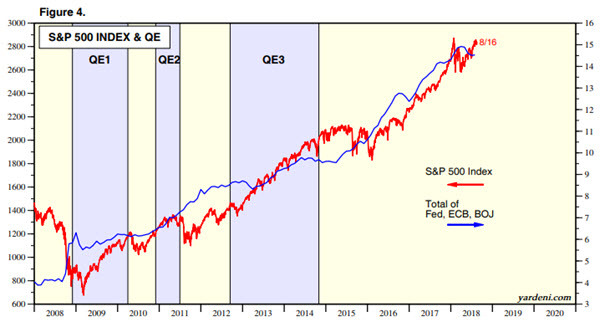 After 10 years of near-constant central bank interventions to prop up markets and make stocks, bonds and real estate rise in price — while also simultaneously hammering commodities to mask the inflationary impact of their money printing from the masses — it’s difficult to imagine that “they” will allow markets to ever fall again. 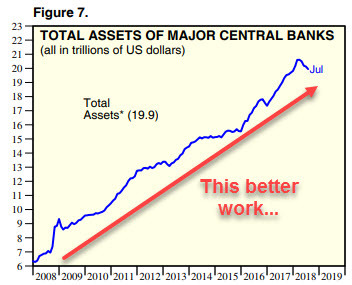 It’s easy in retrospect to see how the central banks have become caught in this trap of their own making, where they’re now responsible for supporting all the markets all the time. The 2008 crisis really spooked them. 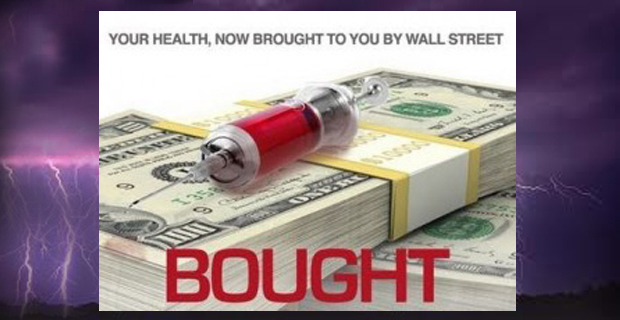 Hence their massive money printing spree to “rescue” the system. But instead of admitting that Great Financial Crisis was the logical result of flawed policies implemented after the 2000 Dot-Com crash (which, in turn, was the result of flawed policies pursued in the 1990’s), the central banks decided after 2008 to double down on their bets — implementing even worse policies. 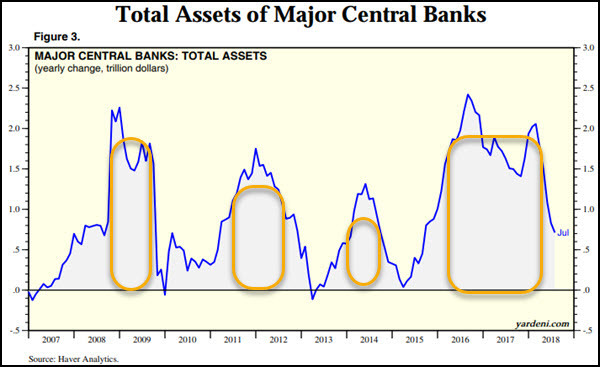 This global flood of freshly-printed ‘thin air’ money has no parallel in the historical records. All around the world, each of us is part of a grand experiment being conducted without the benefits of either prior experience or controls. Its outcome will be binary: either super-great or spectacularly awful. If the former, then no worries. We’ll just continue to borrow and spend in ever-greater amounts — forever. Perpetual prosperity for everyone! It’s important to remember that money — whether physical cash or in digital form, stocks, or bonds — is just a claim on real wealth. Real wealth is land, clothes, food, oil…you know, real things. Ideally, the money supply and the amount of real wealth should exist in balance. As money is a claim on “stuff”, as economic output (i.e. “stuff”) increases, then so should the claims. And vice-versa during periods of economic contraction. But what happens when the claims start to far outweigh the real “stuff”? That’s when things get precarious. The flood of money unleashed by QE didn’t result in vast amounts of new actual wealth being created (i.e. greater productive output per capita). But it did result in grotesquely-inflated financial asset prices that have helped to create the most profound wealth and income inequality seen in our lifetime (perhaps ever). In such an environment, there’s no room for investors. It forces all of us to become speculators, trying to predict what a small cabal of bankers are thinking. But among their very worst offenses has been the manipulation of sentiment. The prices of financial assets and commodities have become political and propaganda tools, which means that nothing can be left to chance. All prices have to send the “right” signals at all times, in the same way that certain news outlets pump a point of view endlessly. Repetition creates its own reality. And while we mean that in the figurative sense for people’s portfolios, it’s possible that the crash could become literally unsurvivable if the political “solution” to deflect blame away from the the central banks and their DC partners-in-crime is a kinetic war. When viewed in that light, America’s histrionic attempts to demonize Russia over the past few years begin to make frighteningly more sense. We’ve been vocal of late about the numerous signs that another great financial crisis is building. The gut-punch Turkey hit global markets with this week is just one example. Yes, it will be painful to crash from here. But once the needed correction is underway, we’ll have the opportunity to make the best of it. Yes, there’s no avoiding the pain of taking our lumps for the the past mistakes we’ve made. But we don’t have to compound our misery by continuing to do more of exactly what got us into this mess in the first place. We simply need the courage to face the psychological burden of admitting to our prior failings. And so the future will be represented by two sorts of people: those able to face what’s coming head on and prepare accordingly, and those who can’t. I sincerely hope that you’re not among those deterred from preparing by the last gleaming of today’s glittering stock prices. We’re going to need as many prepared people as possible in the coming future. But Turkey isn’t the weakest or the most worrying country faltering: Italy is stumbling, as is Brazil, and even China. But Asia ex-China is the real powderkeg. Their unserviceable debts dwarf everybody else. For years we have predicted that the next crisis will progress “from the outside in” as the weaker players succumb first. That appears to be what we are seeing now, and it’s causing me to advance my own personal preparations.